2004 - Visiting Ralph after his wife Ruth passed away on 23 June 2003 after many years of struggling with Alzheimer's disease. She was 88 years old. Ralph would be 89 in the year we visited him. 2005 - A potential party interested to be married to Ralph but he told me he rather not remarry though that is a common culture in the US. 2006 - Visited Ralph 2 years after our last visit when he was 91 years of age, still living in his apartment alone with children visiting him weekly. Photo from this journal post. 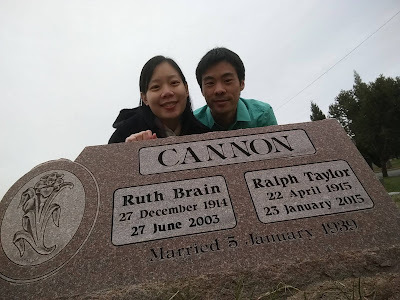 2010 - This visitation to Ralph was after the wedding of Fei in Logan Utah on 29 May of this year. More photos of Ralph on this visit is found in this album here which contains the photos of other friends we had visited on this trip. 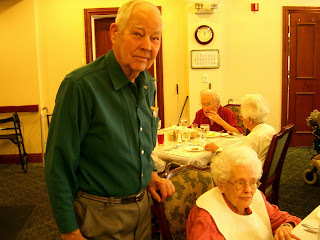 Ralph at 95 years of age had moved from his apartment to be staying in a nice nursing home facility in Salt Lake City. 2011 - A year later, we were able to have Ralph come to the Salt Lake Temple where Su was married on 18 June on that year shared in this journal post. Throughout the past years, I could call Ralph on the phone to chat with him and he was always very mentally alert. As he got older closer to being a centurion, his hearing had declined and this was when I lost contact with Ralph as he couldn't hear me on the phone anymore. 2015 - I had a business meeting in Seattle and stopped over in Los Angeles, then in Salt Lake City for a visit with friends and family in August of this year. When in Salt Lake city I met up with Matt Davis, son of Kent and Geri Davis who were parents of an expat Church family in Kuala Lumpur in the early 80s when I had returned home after my education in Australia. Matt came to see me and we went to find Ralph in his nursing home. 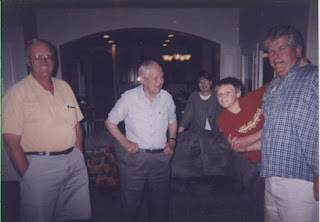 I had connected to Matt and his family as long ago as the summer of 2005 where his family pic is seen in this post. Below is the post from Facebook to thank Matt for driving me out to look for Ralph. A lady at the reception counter informed us that Raph had passed away earlier on 25 January. I was about 5 months too late. She passed me a copy of a newspaper cutting with news of his death. I felt sad that I could not have met him earlier but there was the solace to know he is reunited with his wife Ruth finally. 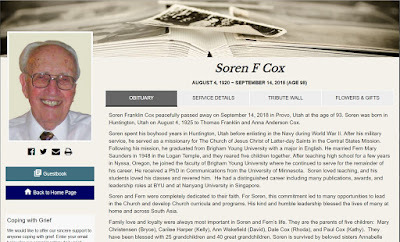 22 August 2015 Here I am in Orem Utah in the home of the in-laws of our daughter Su Min, filled with a very fine spirit that inspires me in many ways that I first felt when I first walked into their home in the summer of 2011 on the marriage of our two children. I'm inspired to add the memories of all the other associates of Brother Ralph Cannon who were from overseas and served as senior couples in Malaysia under the Singapore Mission including that of our Mission President and his wife. 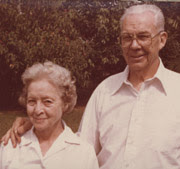 Vera Jean Jones 1919-2004: Obituary of her with husband Joseph Talmage Jones 1915-1990 where both were buried in San Gabriel Cemetery in California. 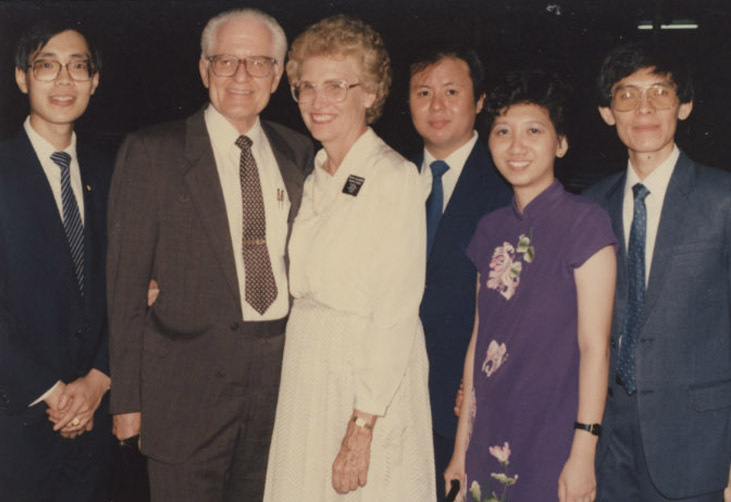 J Talmage Jones was the President of the Singapore Mission during the years 1979-82. I was called to as a full-time missionary in the Singapore Mission for two years in 1980-82 under the most extraordinary circumstances with amazing experiences that I had to record everything down as detailed as possible in my spiritual journal that begins here. 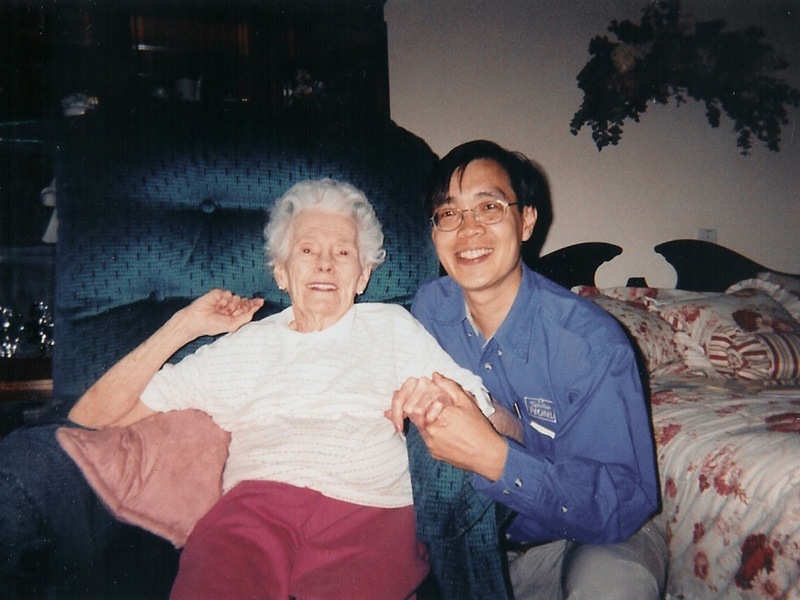 2003 Sep Provo Utah nursing home. I had always wondered where our Mission President's wife was after he passed away in 1990. Inspiration led me to text message to Tan Su Kiong in Singapore to ask if he knew. I soon received his response, giving me the exact address of where her nursing home was, in Provo Utah. Emails or social media was not something existing nor prevalent in our society then as the links of this sentence confirms. 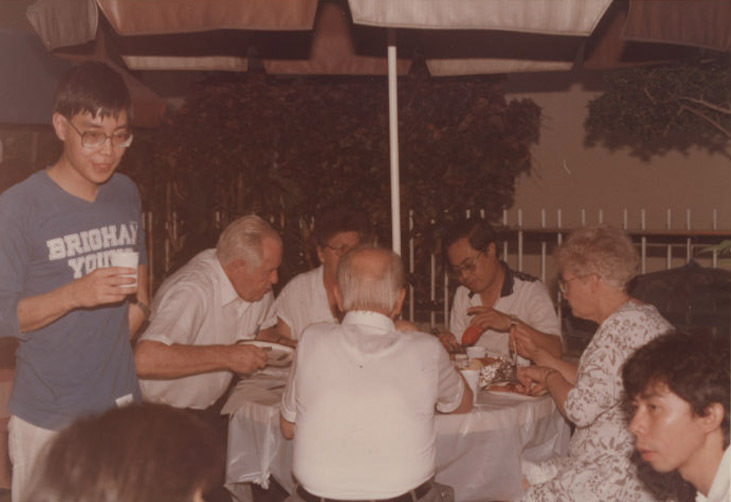 I had to rely on my real life social connections to find out and I inevitably did, thanks to the well-connected person Tan Su Kiong was who served as the Patriarch for the Singapore Stake in the Church. Postdated development - March 2019, the month of an extraordinary number of visitors from overseas to Kuala Lumpur I was glad to meet who happen to be members of our Church. One of them from the city of Coimbatore in India has a link to Talmage Jones explained in this Facebook post where I quoted these words from page 77 of his book, "In the city of Coimbatore we have an excellent family who are members. 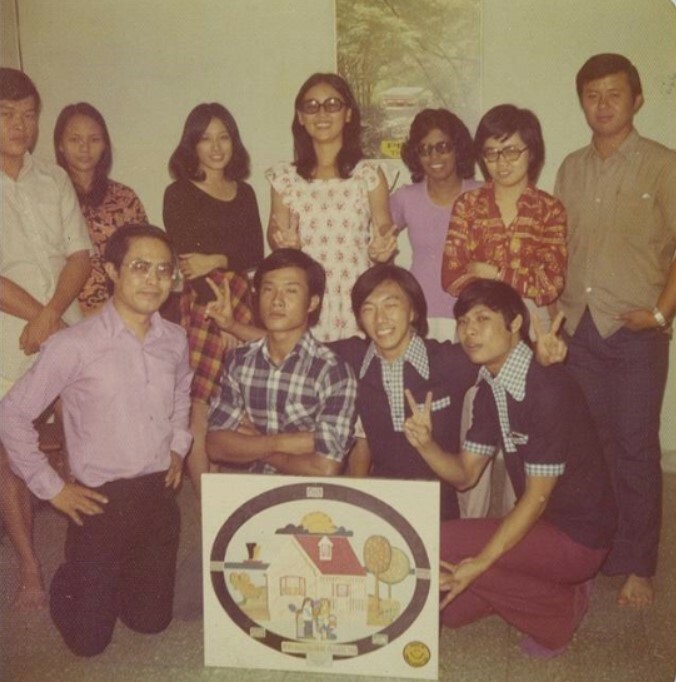 In their home they assembled a group of fourteen professional people, and we enjoyed a good discussion. Again, a good place to start a branch, if we only had some experienced leadership." 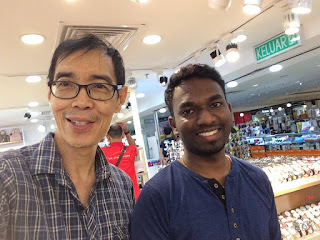 I was so surprised to meet a member from Coimbatore to call on me in Kuala Lumpur and I loaned the book to him during his long stay in Kuala Lumpur. This is Johnson from Coimbatore on the eve of returning back to India to do some casual shopping for gifts to family members and friends back home. Laurel D. Redd with Smellie Redd where I could not find an obituary of either one of them but through my persistence, came across an entire typed written family history of the Redds here. From the entire family history, I have copied and transferred the relevant journal parts from Laurel D. Redd to google docs here in Part 1 and Part 2. 2003 Sep As I rarely travel to Canada, I never had a chance to visit the Redds again even after Laurel Redd had passed away until I found Smelie Redd in Utah. 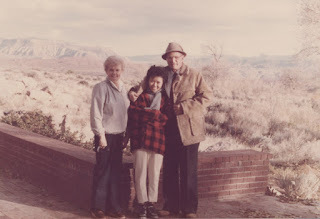 Through email correspondence with his son William Redd and his son's wife Peggy who were originally living in Grassy Lake Canada where Bro and Sis Redd lived, I received the information that Bro Redd was living with them after they had moved to Utah in a suburb called Riverton. 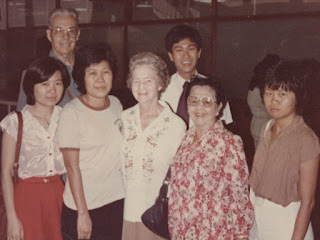 As in the above photo, I found Smelie Redd, in the center, with the help of my friend Cevin Ormond, on the far left, to go together to find Stephen Brown, on the far right, who was the Elder who first knocked on my door in Australia to share the Gospel with me! Coincidentally, the two parties were staying in the same suburb with my friend Cevin Ormond so I didn't have to travel far to find my long lost friends whom I thought I would never get to see again. With one old friend Smelie Redd, I connected him to find another mutual friend, Vera Jean Jones, the wife of our Singapore Mission President when we were both missionaries serving in Malaysia in 1981. I could bring him to find her as I had found her a little earlier shared above in my photo memory of Vera and Talmage Jones. On this particular trip to the US which was a business trip described more in this blog post, my first stop was Los Angeles to visit my daughter Fei and her husband Christoper and also stopped over again as I flew back to Singapore from the same city I first landed in. Something coincidental happened during my very short stay of a night or two on each trip in LA. 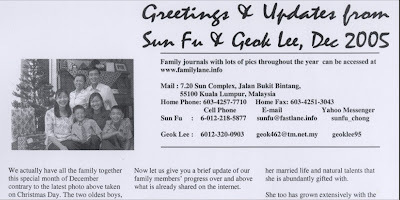 Before I left LA for SLC on 18 Aug 2015, Jonathan Chin, the husband of a former student of my university in Australia named Linda Teoh(her family name and both seen in the above photo), called me on the phone. He had the sad news to say that Linda was in critical condition due to cancer! I was shocked as I had only met her during a short trip to LA made only a couple of years earlier on the Chinese Snake New Year of 2013 on 18 Feb in US time but 19 Feb in Singapore as recorded here. Below are some photos from that visit with my daughter Fei. 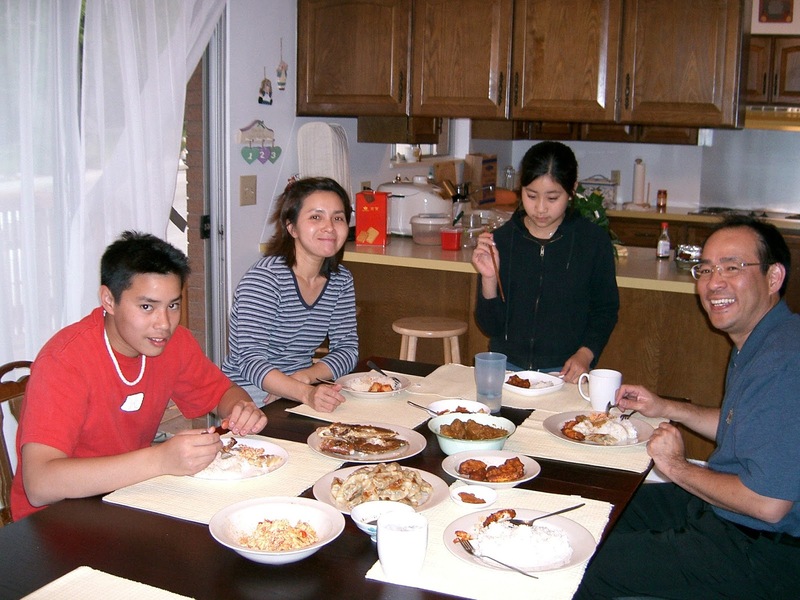 I recall at that time, we could not meet Jonathan but he called the home to explain that with the new 'Obamacare' health care law of the US, the hospital where he was working in Loma Linda had become exceedingly busy that he could not come home to join us for dinner. Over dinner time, Linda shared some further distressing news about her job at the Loma Linda university. She explained that her boss did not believe that a new African-American senior he hired to be above her was demanding that she, in charge of payment through computer transactions, was asked her to transfer money illegally to him! The boss explained that she misunderstood him and did not understand the African-American culture which he professed to be an expert as he apparently was very experience from working in Africa. As a result, the African-American senior soon pushed her to a corner to work alone, removing all staff that was formerly under her! The following photos came from that visit to Linda that I did not think would be the last! She cooked a sumptuous Chinese dinner for us. We were touched when Linda showed us her photo album to find photos of our young family we had sent out over the years by snail mail to keep in touch with them. 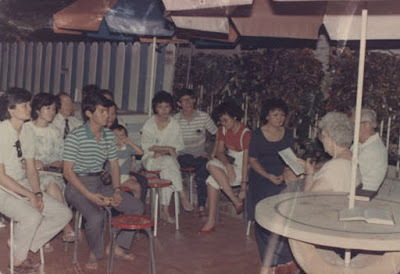 I took the above snapshot of our old family photos from her album with 3 children out of our 6 that we eventually had. Jonathan on my latest trip to the US in September 2015 mentioned above informed me that she was diagnosed with cancer sometime after my last visit to their Loma Linda home in 2013 with my daughter. Her condition had worsened in 2015 and was critical when he called me from reading about my landing in Los Angeles posted in facebook where I had published my US temp cell phone number. He asked me to pray for her and I told him I would do it and also put her name in the prayer rolls of our Church temple too in my next city of destination which I did in Seattle. I landed back in LA on 30 Aug 2015 While on an airport shuttle bus to Santa Monica Boulevard to catch a taxi to my daughter's apartment in LA, my US cell phone rang while I was trying to connect to Uber Taxi. In a frantic voice to Jonathan who spoke to me, I apologized quickly that I was halfway in the middle of an online connection on the phone to reserve a taxi without giving him a chance to speak to me further and said I would call him back. 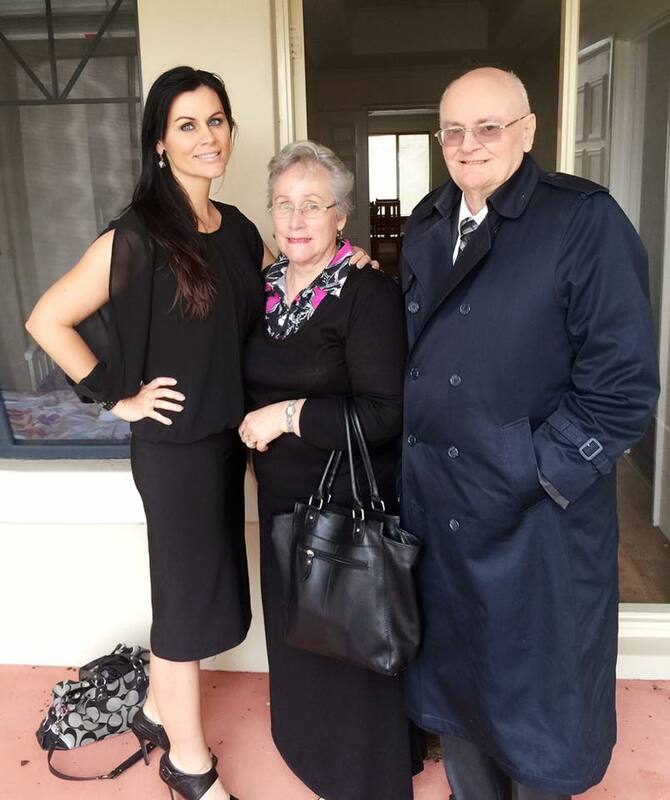 When I finally settled down in my daughter's apartment, I returned the call to Jonathan who informed me that Linda had passed away a couple of days ago. I later checked Jonathan's facebook timeline to find the above photo of Linda with his comments marked in red that reads, "Linda, my beloved wife (June 2, 1959--Aug. 28, 2015) has rested in the Lord. It's with sadness and grief that we will miss you dearly. Rest in peace my beloved; for you will surely be in our hearts forever". The above sharing of Linda's passing is included in this post meant for my senior associates in the Church who worked with me during my mission days because her death was known to me while I was in a trip to the US, the journal link given above, when I was inspired to create this post. She was also one of the friends at the University whom I had introduced to the Elders on our Church and was baptized. I had left for my mission and in later years I met her again when she came back from the US with Jonathan as her husband. They would visit me a few times in KL and I also visited them in Loma Linda for a few times when I had time in California. 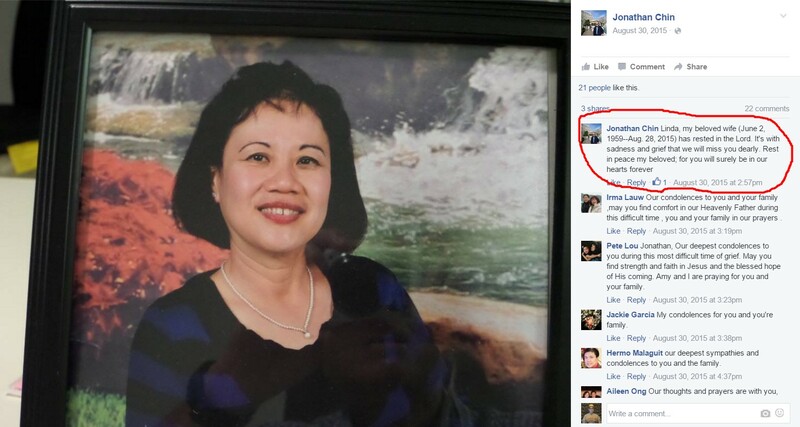 This part of the post of Linda is appropriately included in an Easter post of March 2016 where her name 'Linda Chin' is included in my memorial list found here. 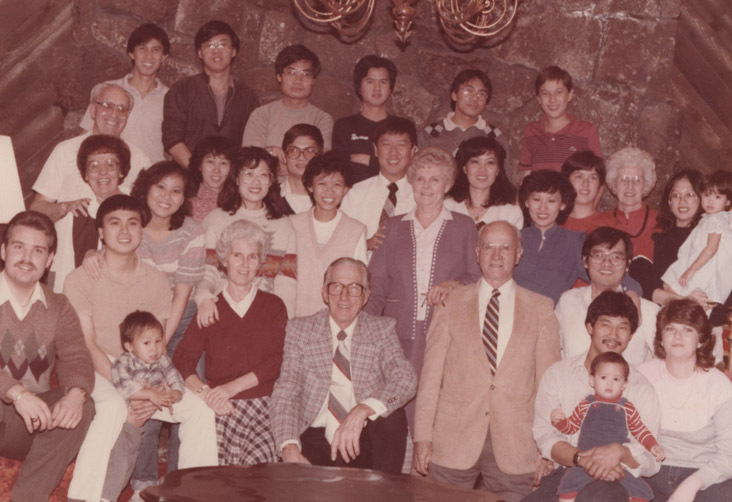 Bro Rex Kennerley on the far right is the person-in-charge of my MTC training in Hamilton, New Zealand in 1980. 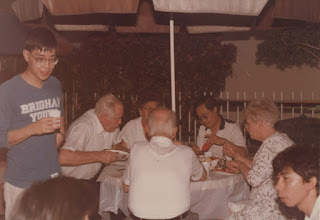 I met up with him again in my 2nd trip to the US in April 1986. It was quite a coincidence as I was attending General Conference in Salt Lake City and the person sitting beside me was the Stake President from New Zealand whose family name was also Kennerley! 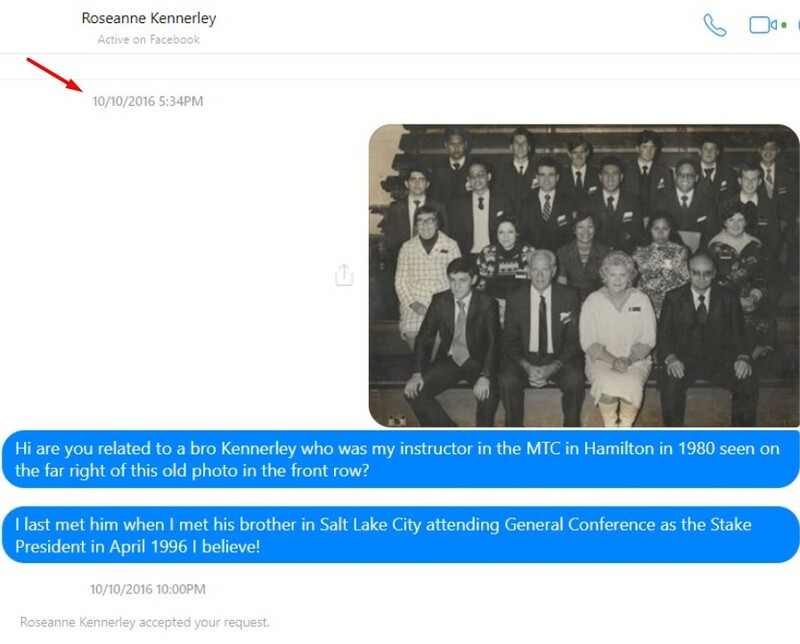 Upon asking if he knew the Kennerley I knew in the Hamilton MTC, he said that was his brother who was at the hotel at that time visiting Salt Lake City with him! He invited me to the hotel after the conference and I had a wonderful surprise reunion with Bro Kennerley again. I may not have a camera with me then, as they were not as small as pocket cameras today, to have a photo of that surprise reunion! 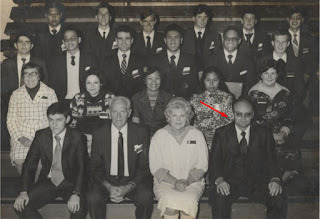 This is Bro Belbin who was the younger instructor, just two of them, at the MTC sitting on the left of the front row. 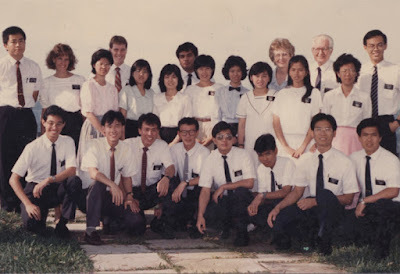 He actually came to KL branch one day in Feb 1996 but he didn't linger longer for me to get his contact so I hope we can reunite again like the missionaries of the Book of Mormon while we are still alive! With the internet, it may be possible and I found this site but the person of age 74 in 1996 would be too old and I don't exactly know what his first name is either! It was sad to learn that he had just passed away on 22 February this year of 2016 in Bunbury, Western Australia as it would be wonderful to connect with him again using today's online technology. Guess I have to wait when it is my turn to return back to the Spirit world again for that full reunion! 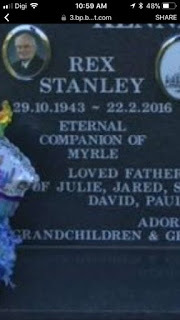 In order to get more complete information of the date of birth and death of Rex Kennerley, I messaged his daughter Roseanne again who connected me to her Mom who was also in Facebook under the name of Rex N Myrle Kennerley which I understand is a joint account of Rex and his wife Myrle. I made a friend request to connect with Myrle but I guess not everyone, especially of senior age, would be savvy in all the functions of Facebook. I checked her timeline now and then until I found the above photo of his headstone. Magnified, I could see that he was born on 29 Oct 1943 and passed away on 22 Feb 2016. I could now post this date at the top of this memorial post of his. 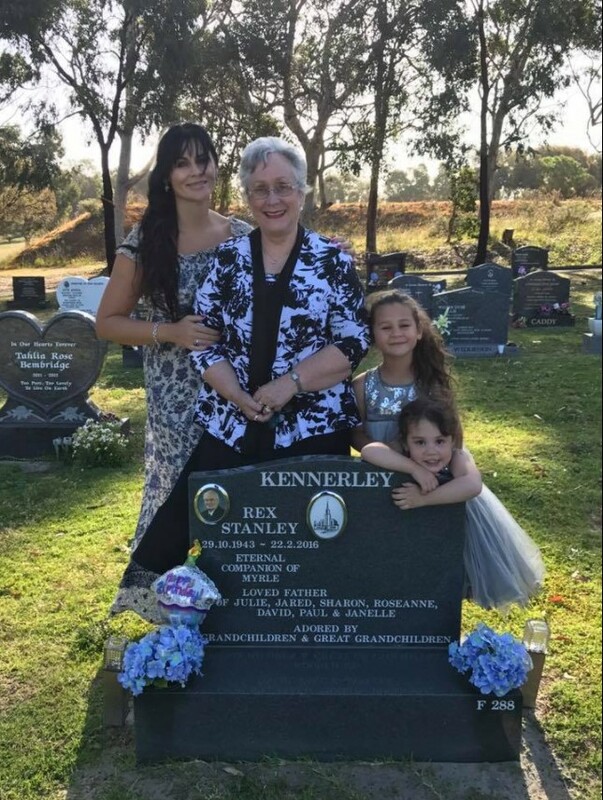 I'm glad however to have found their page to get more complete information of Rex Kennerley and in a way catch up for the many years that we were separated. 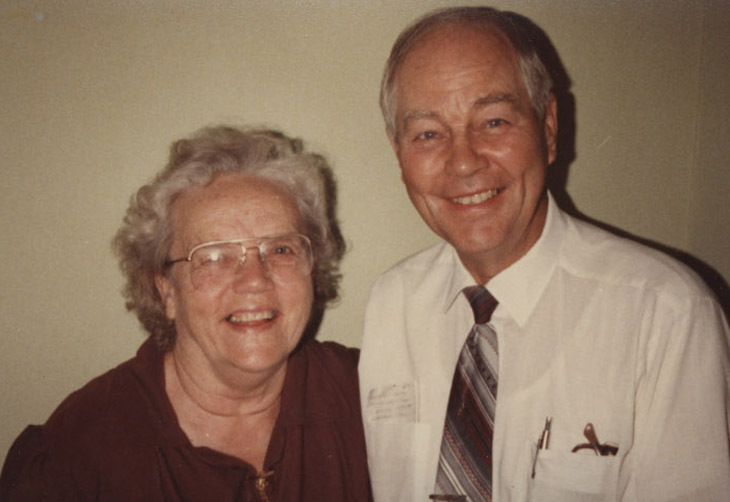 His name and influence to me remained in my Consciousness for many years since I was a young missionary trained by him for my spiritual mission to serve in my homeland to teach the restored Gospel. I am spiritually fed by this experience to finally connect with a man who greatly touched my life more than he may ever have known. 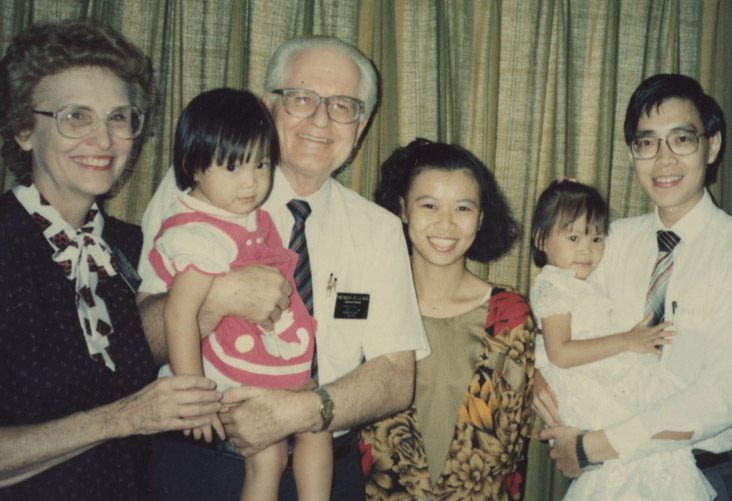 On this day in the Christmas month of 2016, I received the obituary of a couple who had served in Malaysia as missionaries in 1997-98, Elder and Sister Willis. 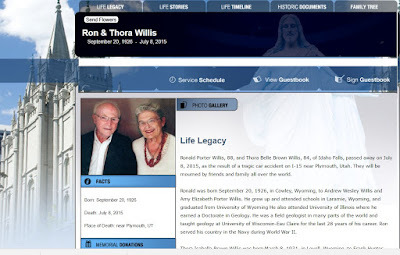 It reads, "Ronald Porter Willis, 88, and Thora Belle Brown Willis, 84, of Idaho Falls, passed away on July 8, 2015, as the result of a tragic car accident on I-15 near Plymouth, Utah. They will be mourned by friends and family all over the world." 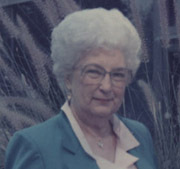 I receive this obituary by connecting with their granddaughter, Emily Ahlin Willis. I came across her due to her familiar 'Willis' family name when she requested to join our Returned Missionaries facebook group a couple of months ago. On inquiry with her, if she was related to the Willis couple I know, she revealed herself to be the granddaughter. I realized later that I didn't have much information about their background nor of their passing and asked if she could find an obituary for me. I got it in the morning and so this post in memory of them is made possible. One can view the obituary of Ron & Thora Willis by clicking here. We see Jay our son-in-law playing the piano in their home. Jay was still courting Su at that time and they were married the following summer too! We were just living across from their home as their son James living across the road from his parents had married our Church member friend Miow-Lin from our Kuala Lumpur branch of the Church. They attended Fei's wedding in Logan Utah and invited us to drive up to Idaho to stay with them. 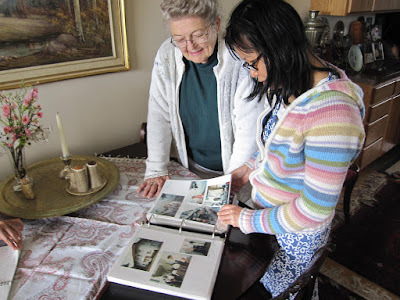 Here is Sis Willis showing us her photo album of the time during their mission in Malaysia. ... where we could see Bisons roaming freely in the park grounds! Click the following links to see more photos in Idaho Falls and Yellowstone Park where we had taken some photos of them. 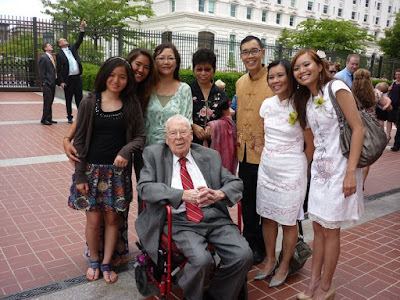 While setting up an event at the Marriott Hotel in Salt Lake City in September 2008, Patricia Quek spotted President Monson alone having a shoeshine on the chair in the lobby of the hotel. I found him such a gracious and humble man. Surprisingly there was no crowd of people around him nor any security guards. Anyone who didn't know him would not know he is the President of a worldwide church, even a prophet, seer and revelator! President Delamare and his wife at a District Conference in Malaysia in 1987 where my wife and I had only our 2 daughters while I was serving as the KL branch president from 1984 till 1988. At the dedication of the KL branch meeting house in 3 Jalan Mentri Utara 7/4 Petaling Jaya in July 1987. 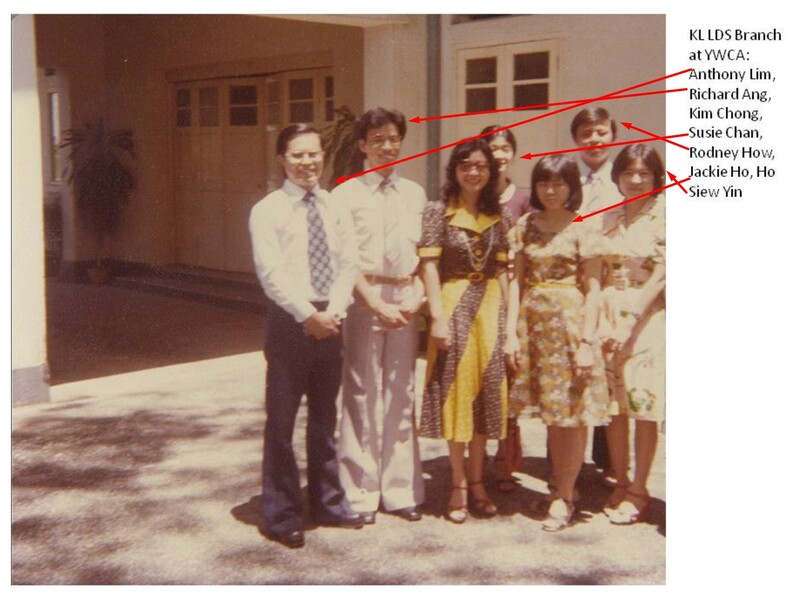 Seen on the far right is Malaysia's first District President Ivan B. Ho with his wife Sophia and counselor Rodney How. 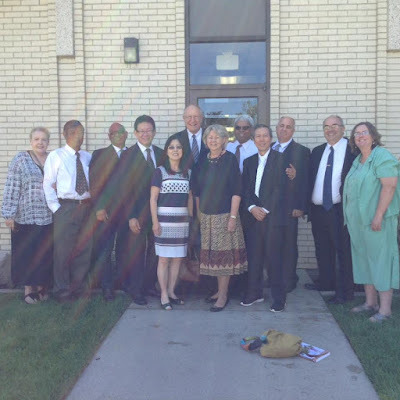 As I looked at the photo above of the missionary force, the Spirit filled my Consciousness to realize in that photo alone, several of the members have passed away. Most even younger than me. If any of our return missionaries pass on, I would put their photo in our RM Facebook group here. 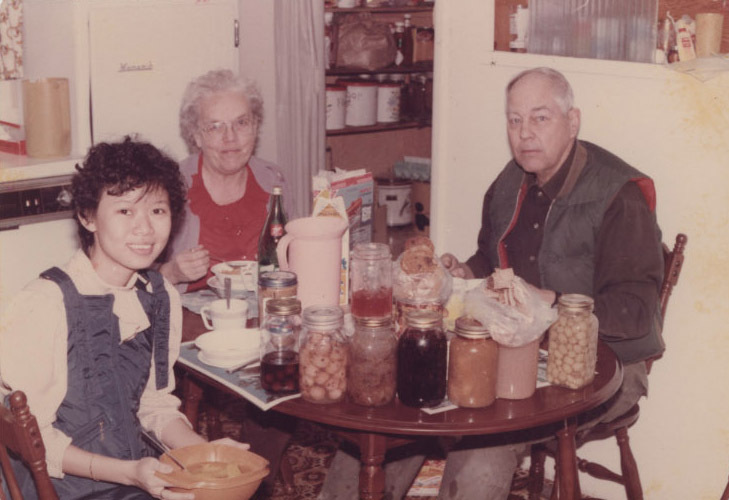 Suddenly my Consciousness told me I had missed out Jenny Ling in a later Easter post I had made including To Chow Kong shown in the photo below. Now I can go to bed tired but feel accomplished. The Consciousness of the human being is something Science and Religion have been spending a lot of time trying to understand what it is and how it works. Due to experiences such as this one and a whole series of even more surprising situations that I call miracles that have occurred in my life recorded in my journals as a member of our divine Church, I obtained a unique Awareness or Consciousness to better understand the various expects of life. It was possible as I had chronicled my life's experiences of the Body Mind Spirit BMS domains and embarked on a lot of personal research through reading, scanning for past and present information from various sources plus conducting live experiments subconsciously in my own life in search of further truth and light or greater knowledge. From my lifelong study and personal live experiments, an alternate state of OPT Optimal Performance Thinking was discovered and fined tuned for those seeking self-improvement and greater happiness in our increasingly stressful secular world. What were my experiments and what results did I get? I worked on all the 3 BMS or domains in my life that I had discovered, even changing the areas of focus or goals in my life, just to see if I could still get the consistent optimal results I was seeking for. These were my "What if..." thoughts which I have shared in this post. With this cumulated state of consciousness as explained above, I could feel the many people I have come to know in my life and after they have passed away, I felt impressed to create this "In Memory" album for them. Here is another Facebook album with several departed friends and family treasured in my memory. This is the magic of technology to augment my mind in remembrance of these souls who once walked, talked and ate with me, even laughed and cried together sometimes, in the varied experiences of our lives. 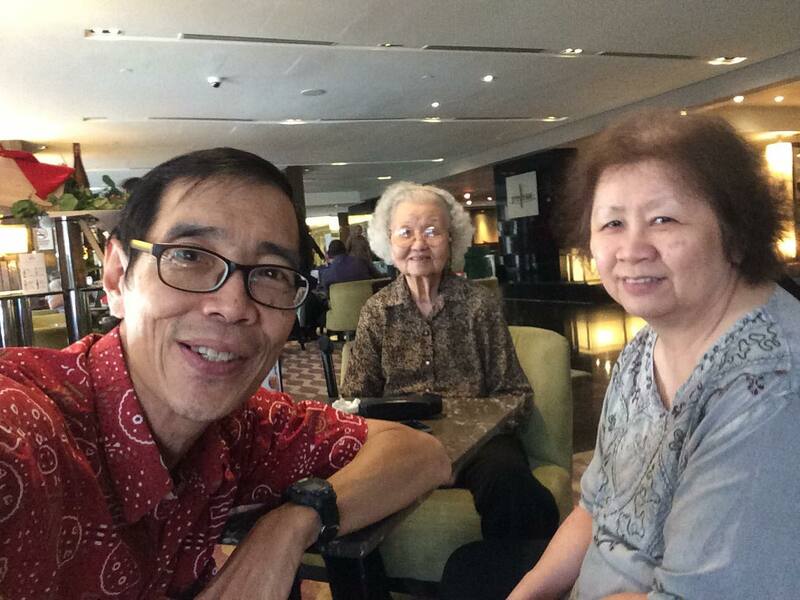 I got the news from Susan Ho, another pioneer of our Church in KL/Malaysia just before noon on Monday 9 April. I had never received a WhatsApp message from her before, not surprisingly as being in the older generation, she was not into smart phones etc but I knew that many in Malaysia now, especially the older generation, find WhatsApp much simpler to use as compared to Facebook Messenger where one is connected to the sophisticated Facebook social media platform which requires a bit more technical know-how to administer it. I only read the message about lunch time. The moment I read the message of Rodney's passing I was in a state of shock as I wasn't aware that he was down with any sickness or disease! My response was to immediately reply to Susan that I was in shock. 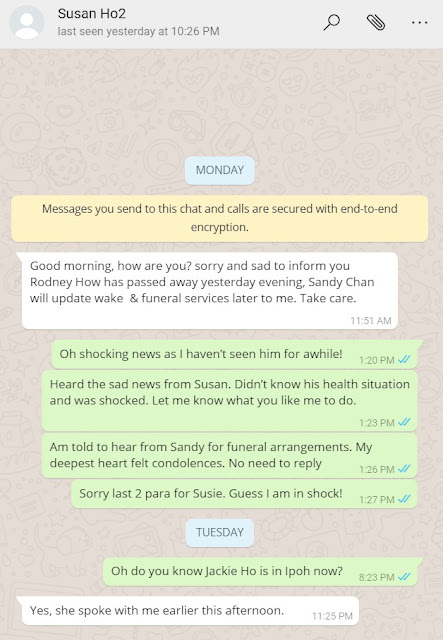 I must have been as seen below is an error of writing a condolence message to his wife Susie but typed it in a wrong message area that belonged to Susan's WhatsApp account! I had the instinct to send a message to Jackie Ho, another pioneer member of the Church close to Susan who now lives in Washington DC, about the news of Rodney's passing as they were together as pioneers of the early Church in KL in the 70s. To my surprise, Jackie responded that she was in Ipoh Malaysia with her mother! 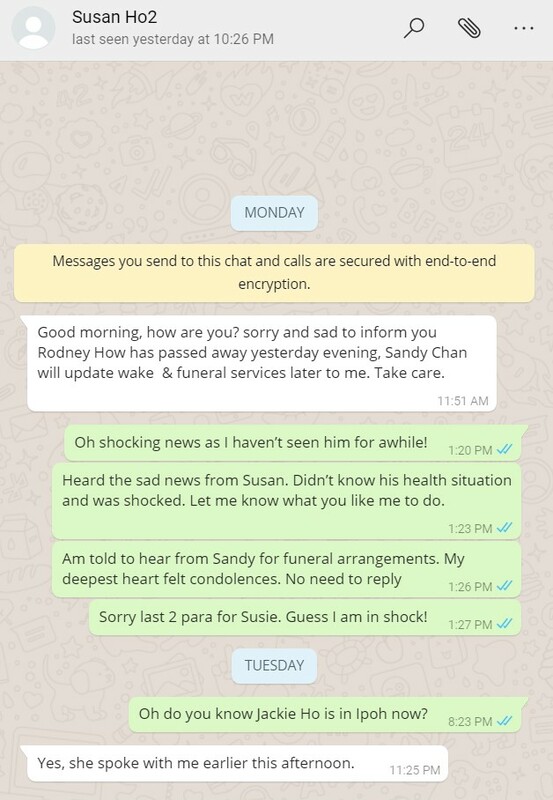 My shock experience shown in my mistake in sending my message to Susie wrongly in Susan Ho's WhatsApp account! As a connector or communicator via media, I quickly made the post below in my Facebook timeline so that all who know Rodney How may be aware of his passing. I added information of the Wake activity that was organized by the family on Monday and Tuesday nights before the funeral on Wednesday. Summarizing what I started to write about above, before Rodney's post on his passing, about my Awareness or Consciousness, the following photograph is a good metaphor. Since I recorded my consciousness in my journals, my network with friends and my experiences with them actually form part of an intricate network of my relationships with a host of people. Records in my journal blogs provide an external resource of memories for my consciousness that links me to many people and information that they share with me. Let me show you how in my journals or chronicles, I've linked them to various people seen in the above photo. 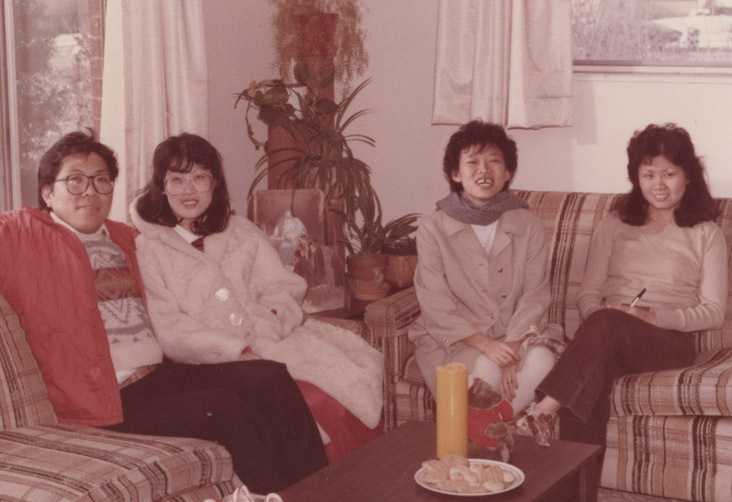 Taken in 1974 (Photo courtesy of Jackie Ho) Supports Anthony's journal that family home evening was held in his home in the 70s. Taken in 1977 (Photo courtesy of Anthony Lim) Supports the incorporation of the Church in Malaysia where Anthony Lim and Rodney how were the first directors. President Soren F Cox is seen signing on the incorporation document. 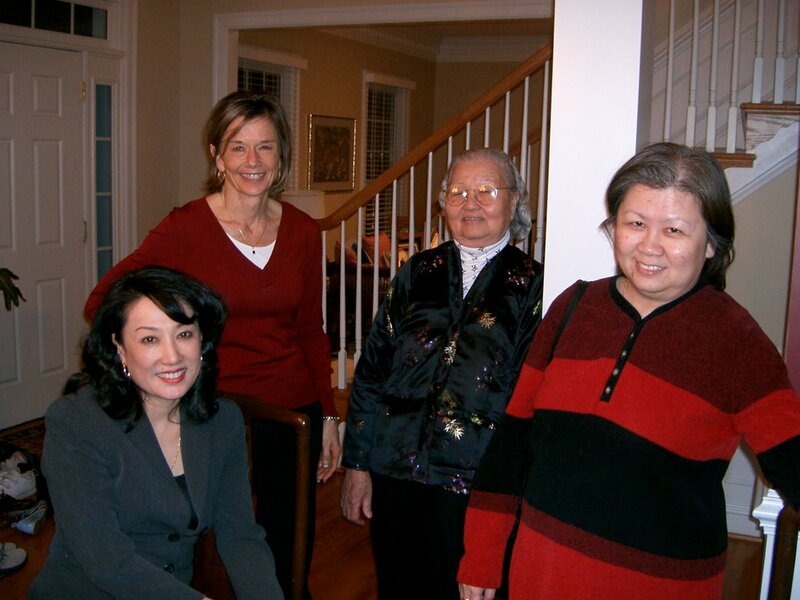 Jackie Ho is seated on the far right. 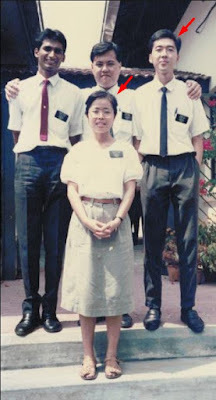 On the left is Cheng Kai Kuan with wife Jessie Ho from Singapore who were sealed in the Salt Lake Temple a week before us. 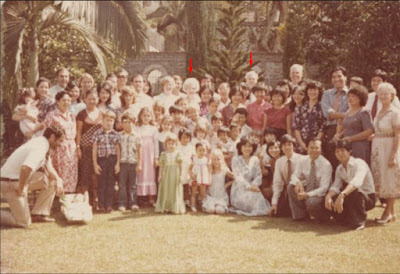 We see photos of young Rodney in blue seated in the middle and Susie in red on the far right with Jackie in the middle. I managed to make arrangements to meet Jackie in the morning of Friday, April 20 in Petaling Jaya who had her aged mother with her whom I had met in the last reunion in Washington DC in 2006. Traveling with her mother made it difficult for her to travel to attend Rodney's funeral while she was up north in Ipoh earlier but I was glad that we could meet again to catch up with each other. 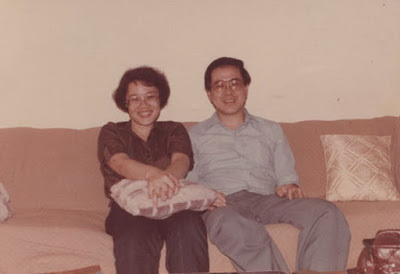 She had moved to the US in 1981 and I had met her for the first time in 1980 when I came home to KL in Chinese New Year Feb month before I commenced my mission in August that year. 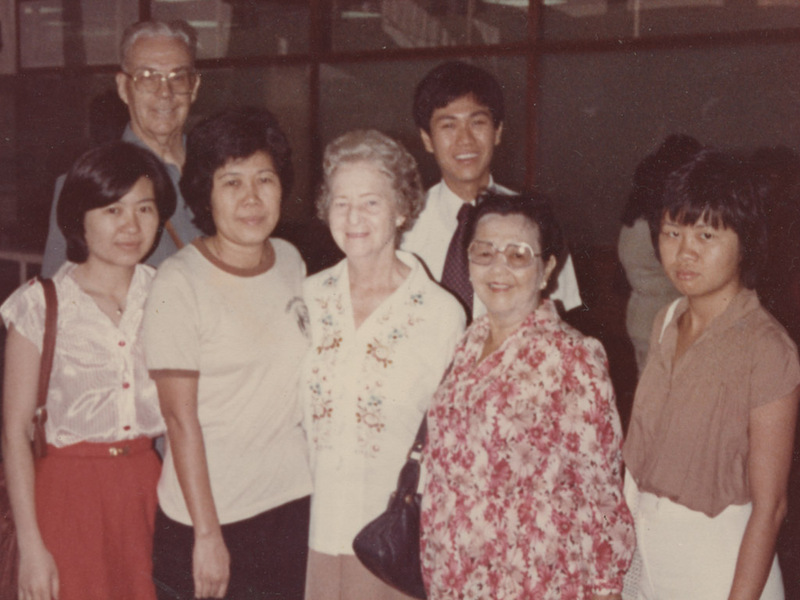 This is Jackie on the far right on 20 April 1981 in a photo taken by me, already on my mission serving in Kuala Lumpur, at the airport seeing off the Stokers going home at the end of their mission where my mother is seen beside her. In our meeting, she shared details that I have forgotten that she met my father and knew him even before meeting him as her boss whom she worked for in those days was a friend of my father! Talking about our Hakka ancestry, she shared that her mother was a Hakka from the same source as me in the District of Meixian near Meizhou city while her father was a Hakka from the coastal area near Xiamen. I had visited these two places during my unforgettable trip to find my ancestral village in Nov 2015 recorded here. 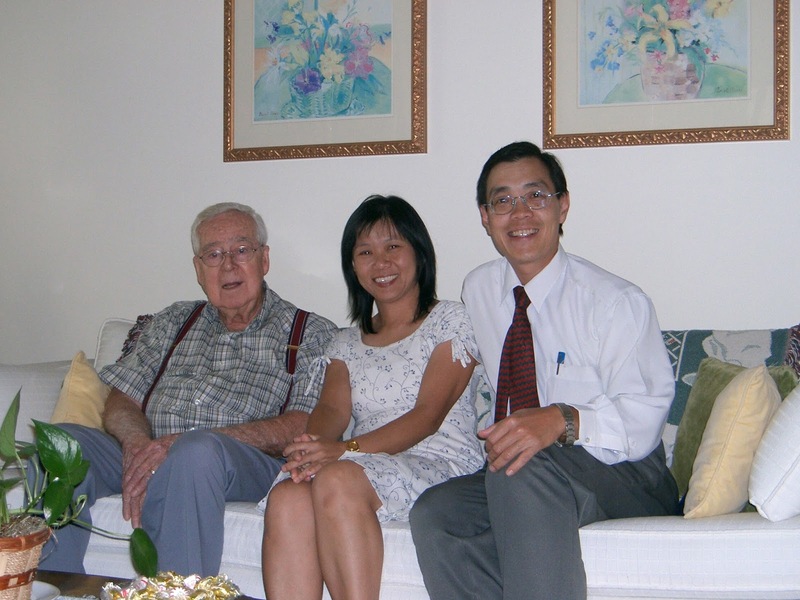 I have a photo of Richard Ang and his family in Provo Utah taken in 2003 in one of my visits ot the US. I knew Richard who was a Malaysian and worked for the Church CES department in Singapore before moving to work for BYU Provo. I've provided photos of all the people in the above photo marked with red arrows. 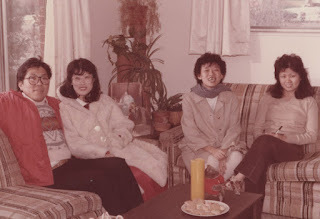 The only person left out is Kim Chong where there are only old photos of her from the past but I never took any when I first met her in PJ in 1980 with her brother Aaron Chong and their parents. I do have information about her brother Aaron who served a mission in Hawaii in 1982-84 as per this names list where he is alphabetically sorted as the first name. 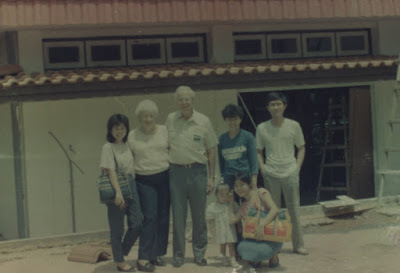 Other than that I cannot produce any record or photo from my journals of Kim Chong but clear memories of her amazingly still exist in my brain where I know her parents lived in SS2 area in Petaling Jaya but which street address or specific house number I cannot recall! In summary, my online journals do augment my consciousness of people and my experiences with them including information that they may have imparted to me as our physical brain has an amazing capacity to store a lot of information or past memories of our lives even without the computer memory or what is stored in the 'Cloud' today! 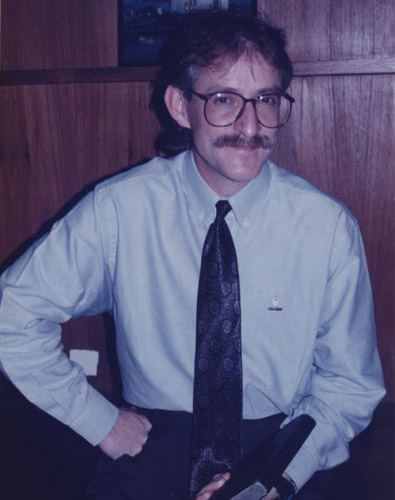 I will now end this post in memory of Rodney How after sharing also of some information of those associated with him in his younger days that I could share using my journals as a resource. Click the above photo to see his obituary and a brief biography or click here. 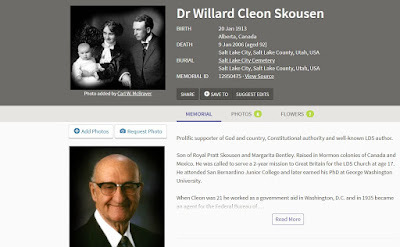 Dr. Cleon Skousen is someone I've never met in my lifetime but he is added to my 'In Memory' journal due to the early impact on my life by his talk on a cassette tape loaned to me by a missionary not long after I was baptized in Australia in 1979. 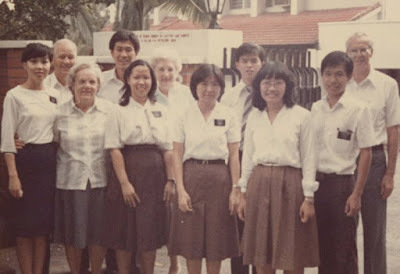 I was excited to find his talk online when writing my Spiritlane post about my spiritual experiences in KL branch on the topic of atonement found here. Listening to the talk again after so many years, it was even more interesting to realize that he was one of the pioneer members to be called to serve in London in 1920s at the age of 17! My 2nd son was still serving in his London mission at the time of my discovery and I shared my experience with him in one of my weekly emails to him. 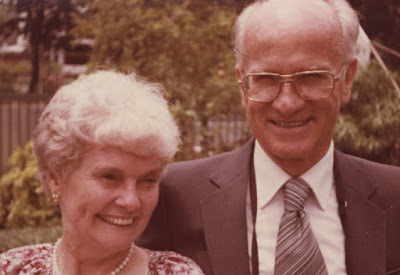 Cleon Skousen was such a great scriptorium to share the fine points about the atonement that many Christians would not be aware of and he had a great sense of humor too sharing his experience as a young missionary in London. Click here to listen to his most lively recording. I took the above photo with President and Sis Cox in Provo Utah, seen on the top left. It was in Dec 1983 when my wife and I were there for our temple sealing a year after our civil marriage. The gathering of mainly Singaporeans there with some returned missionaries was also with other former Mission Presidents seen in the front row, namely Talmage Jones on the right and Winfield Q Cannon beside him. Singapore Saints able to attend "In Loving Memory of Soren Franklin Cox"
Pioneer members before me who joined the Church in KL and Penang branch had trips to Singapore in the mid-seventies to meet President Cox as per the photo above found in a journal of the KL branch here. 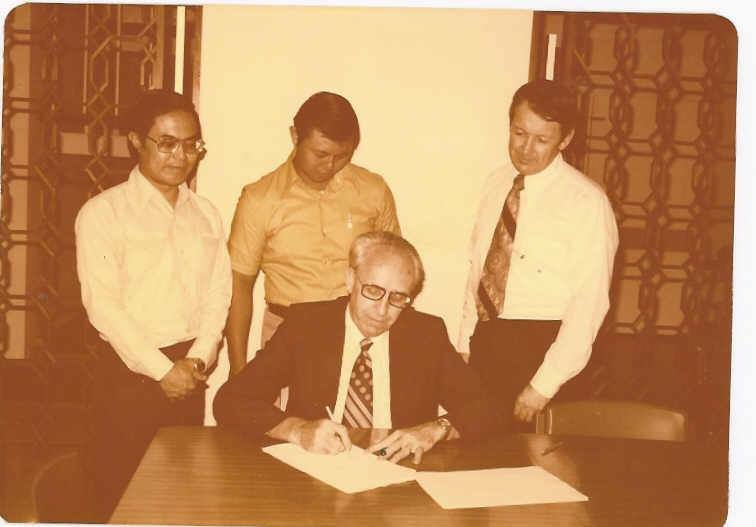 He is seen signing of the incorporation documents of the Church in Malaysia, incorporated on 2 September 1977 with Anthony Lim Teong Keat and Rodney How Boon Lok as local Malaysian directors.